The victorious Casans pose after delivering their winning pieces together with their mentors. From left are Ms. Kiah Librea, Rabbanah Galilei Mendoza,Maria Angelina Isabel Ebora. Tanya Granados, Bianca Reyes(Topmost) and Ms. Yoly Jakosalem. Four Casans took home medals in an inter-school competition sponsored by Rotary Club District 3820 last September 2, 2017 at the New CAS Auditorium, University of the Philippines Los Baños, Laguna. 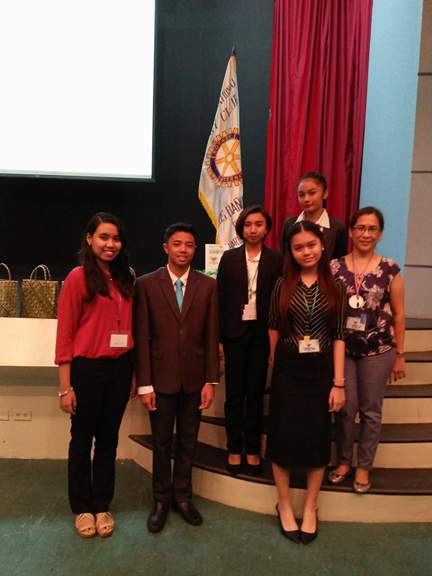 Students from several schools in Southern Tagalog competed in two categories: Oratory & Impromptu Speaking. With an over-all theme of Great Convergence 2017 the competitions focused on Voices of the Youth and Rotarians in Making a Positive Difference in the World. Representing Rotary Club of San Pedro (RCSP), Ma. Bianca F. Reyes was 1st Runner-Up in the Oratorical Contest while Tanya Fracesca R. Granados was declared Champion in Impromptu Speaking. Carrying the torch for Rotary Club of San Pedro South, Maria Angelina Isabel A. Ebora placed 2nd Runner-up in Oratory while Rabbanah Galilei P. Mendoza snatched the 2nd Runner-Up position in Impromptu Speaking. Being an area level competition, the Champions of both Oratory & Impromptu Speaking will move on to the Finals of the whole District 3820 sometime in November 2017 where winners of Laguna (Area 1), Batangas/Mindoro (Area 2) Quezon/Marinduque (Area 3) and Bicol (Area 4) will compete against each other. 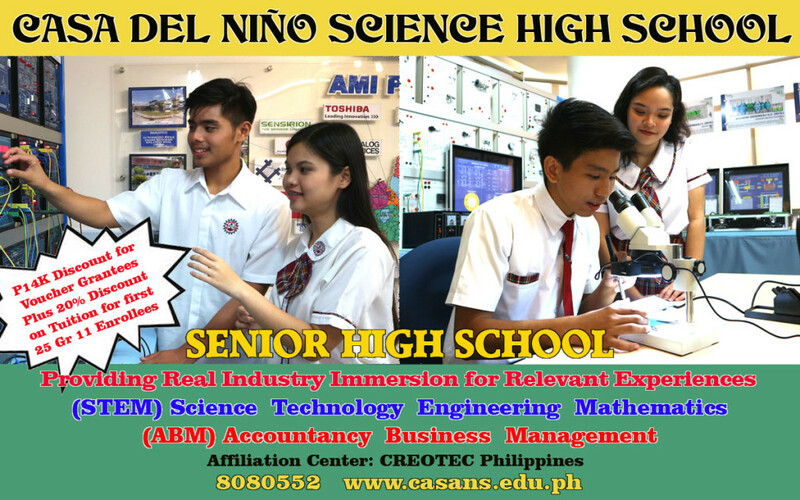 The winning Casans were trained by Ms. Yoly Jakosalem together with Ms. Kiah A. Libiran, both Faculty Members of Casa del Niño Science High School’s English Department. Dr. Mark G. Acierto, EVP for Academics and a Past President of RCSP was instrumental in making their participation possible. Rotary Great Convergence (formerly known as Rotaryo Educare) is an event to uphold Rotary’s commitment in developing youth leaders while focusing on Literacy and Education. 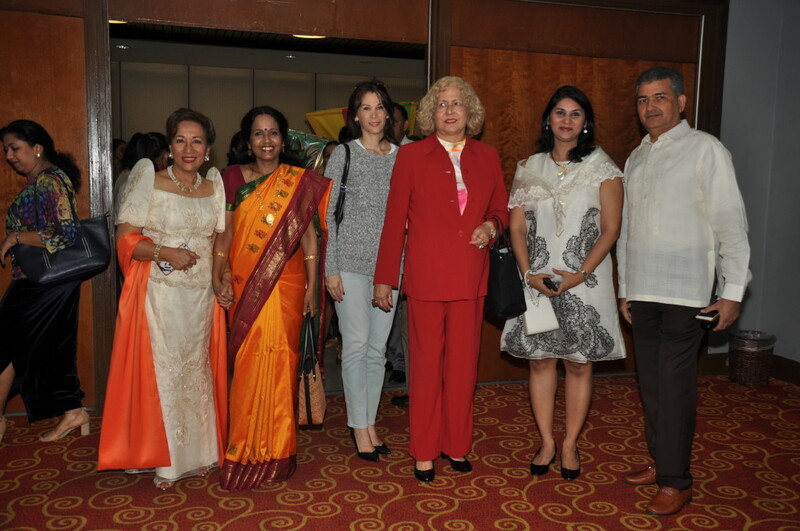 The Laguna-wide contest was spearheaded by Rotary Club of Los Baños Makiling. CDNSSI President Dr. Rosario Acierto lauded the students and their parents for bringing honor to the school and continuing the legacy of academic excellence for which Casa del Niño is known . Dr. Mark G. Acierto of CDNSSI and Engr. Jomarc E. Baquiran of Autodesk sign the Memorandum of Understanding at the CDNSSI President’s Office. 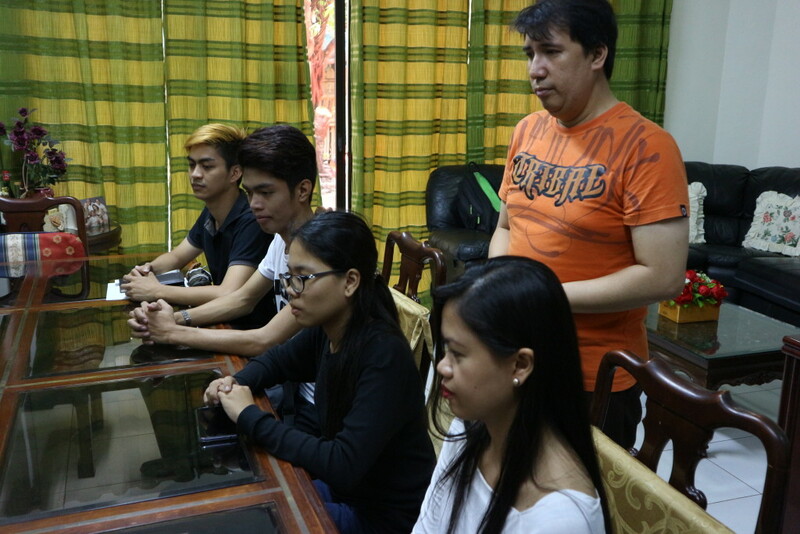 Senior High School Director Mr. Herbert San Pedro together with Autodesk Staff Members witness the signing of the Memorandum of Agreement. Dr. Mark Acierto and Engr. Jomarc Baquiran shake hands as a symbol of their understanding while members of the Autodesk staff look on. 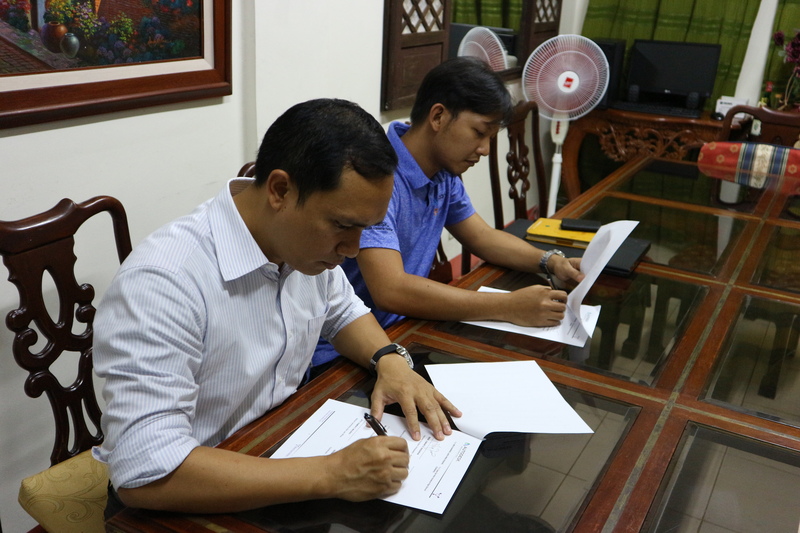 Dr. Mark G. Acierto, Executive Vice President of CDNSSI recently signed a Memorandum of Understanding with Autodesk, a global software company to enhance the curriculum of Casa del Niño Science High School, particularly the Senior High School Department. 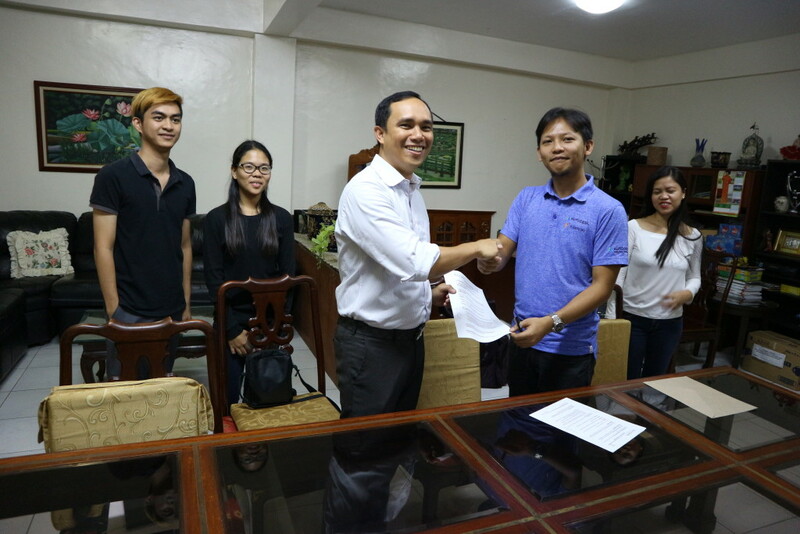 Representing Autodesk during the signing was Engr. Jomarc Baquiran who came with members of his staff. For its educational advocacy in the Philippines, Autodesk has partnered with MechaniWeb to bolster the global competitiveness of the Filipino Students with the aid of Autodesk Technology using Fusion 360, its latest design software. Fusion 360 is a cloud-based CAD/CAM tool for collaborative product development which combines fast and easy organic modeling with precise solid modeling, allowing students and professionals alike to make their designs manufacturable. Their education in this particular software will elevate the students’ technological abilities to be at par with those in advanced countries like Singapore, United States and Germany where the software is used as a design tool. With the signing of the memorandum, Senior High School students will begin their Fusion 360 education by participating in an intensive 2-day workshop at De La Salle Zobel in Ayala Alabang, Muntinlupa City. Autodesk will also follow this up with asssistance as Fusion 360 will be taught in the Senior High School during the School Year. After completion of the course, the students will be able to design their own product from idea to prototype. Dr. Mark Acierto is confident that with their education in this latest tool incorporated in our school’s curriculum, Casans will have more relevant knowledge that they can use immediately or in the future in an age where technology is driving almost every aspect of the workplace. Several billboards have been prepared to be installed late this month, April 2017 in strategic places along the community. The billboards will feature students of the different departments of CDN San Pedro, Laguna: Pre-School, Elementary, Junior High School and Senior High School. For the Senior High School shots, the students were brought to Laguna Techno Park for their shoot at the actual Immersion Site: Creotec Philippines, a Semi-Conductor manufacturing company that produces, among others, scientific equipment and computer-based gadgets. The image models were chosen based on their looks, attitude and academic performance. For Pre-school, the models are Khirklyn Cazandra Nabayo, James Bernard Gonzales and Reign Hailley Buluran. Elementary: Emmanuel Juan Antonio Karpat, Francine Klaudette Quaile and Manuel Christian Macabuhay. Senior High School: Kim Baldoz, Jeric Jacob Sorita, Tricia Ranes and Val Tenio. 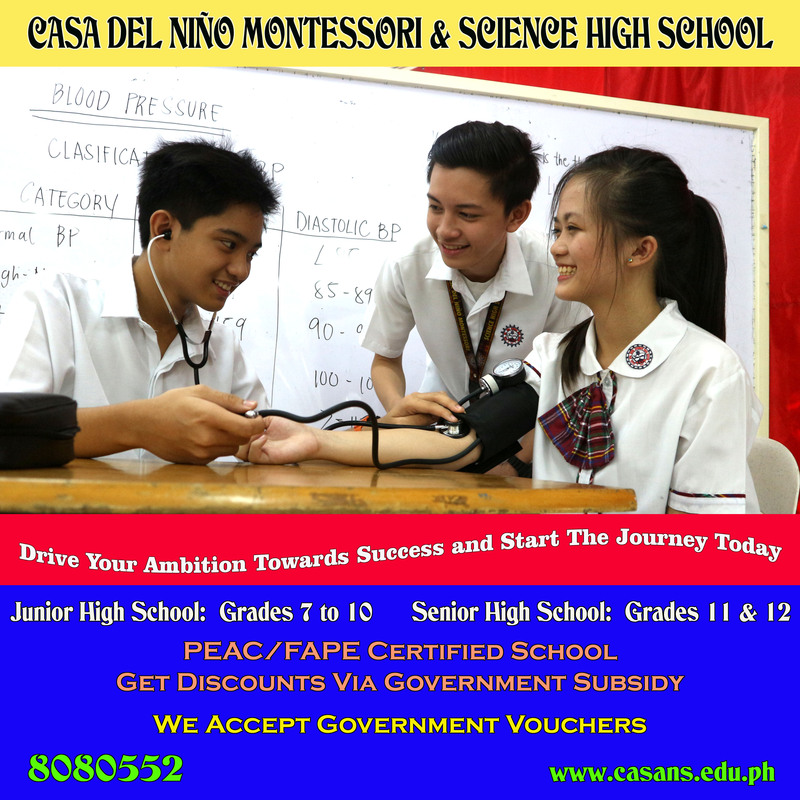 The production of the billboards are an annual undertaking which is aimed at attracting enrollees to the different departments of Casa del Niño Montessori & Science High School. Discotillioners prepare for the traditional dance performed in a non-traditional way. 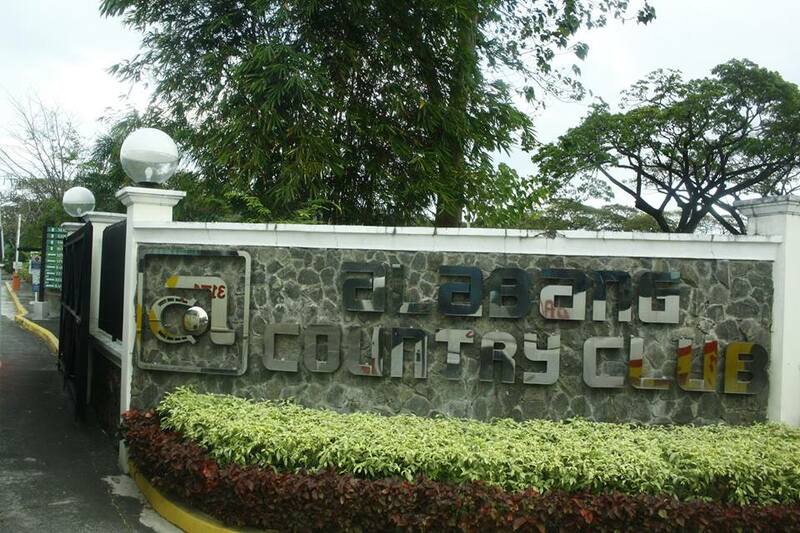 Entryway to the Alabang Country Club where the Casan Formal Ball was held last Friday, 3 March 2017. 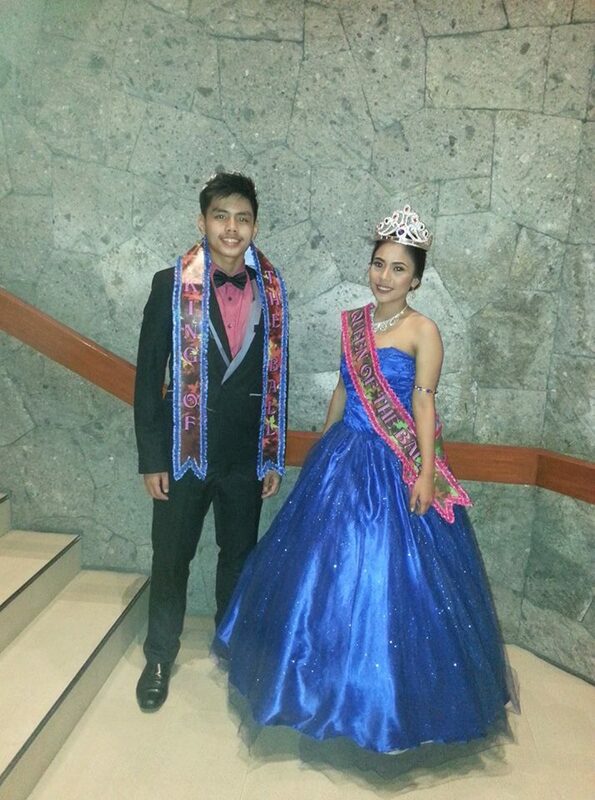 Stephen Sorita and Nicoloe Diamante pose at the stairway of Alabang Country Club after being declared King and Queen of the Ball respectively. Stephen Sorita and Nicole Diamante were declared King and Queen of the Ball during ceremonies at the Main Ballroom of the Ayala Alabang Country Clubhouse in Muntinlupa City where the Casan Formal Ball was held last Friday, 3 March 2017. 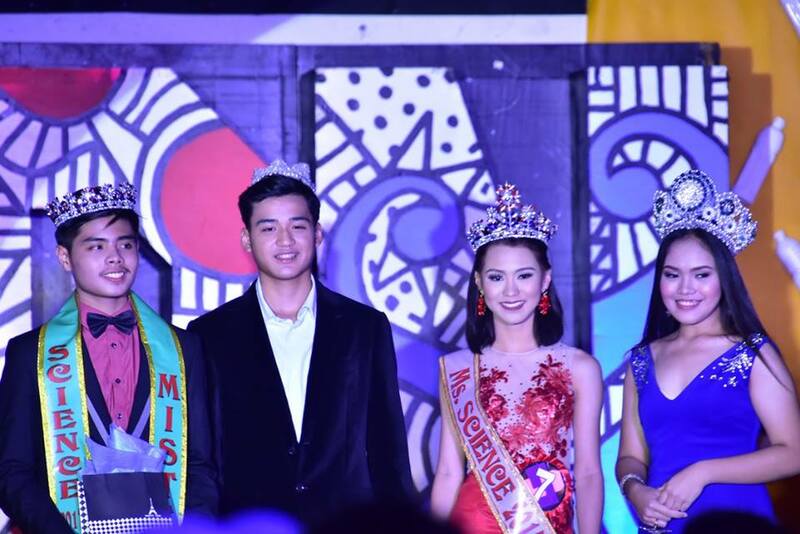 Other winners were Kent Caro and Danica Conti (Faces of the Year) Nathaniel Luiz Alsim and Reign Vales (Stars of the Night) Manuel Carlo Cabailo and Bianca Reyes (Mr. & Ms. Junior) and Johann Mabanto and Janielle Cullado (Mr. & Ms. Senior). Sitting as judges for the special awards that night were Ms. Bhevs Rolda, Ms. Yoly Jakosalem and Mr. Richard Pustasa. 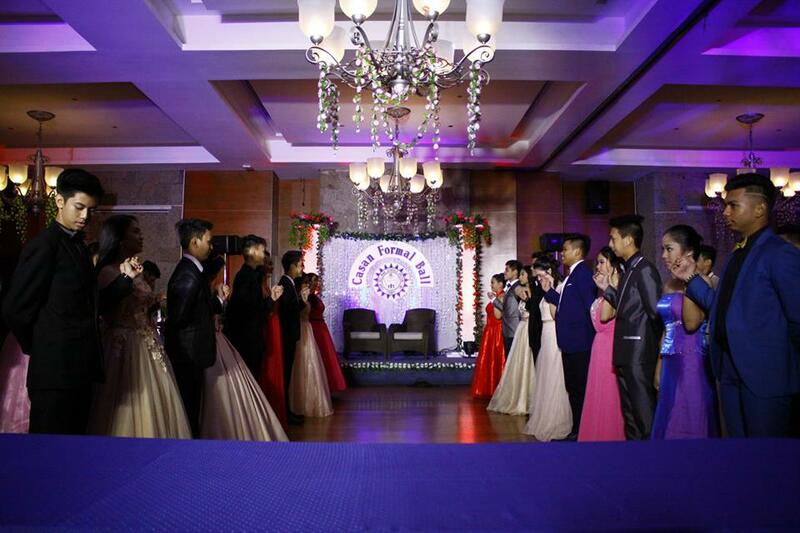 The ball started promptly at 6PM and lasted until 12 Midnight in peaceful and orderly ceremonies highlighted by a Discotillion performed by selected Junior and Senior students of Casa del Niño Science High School. 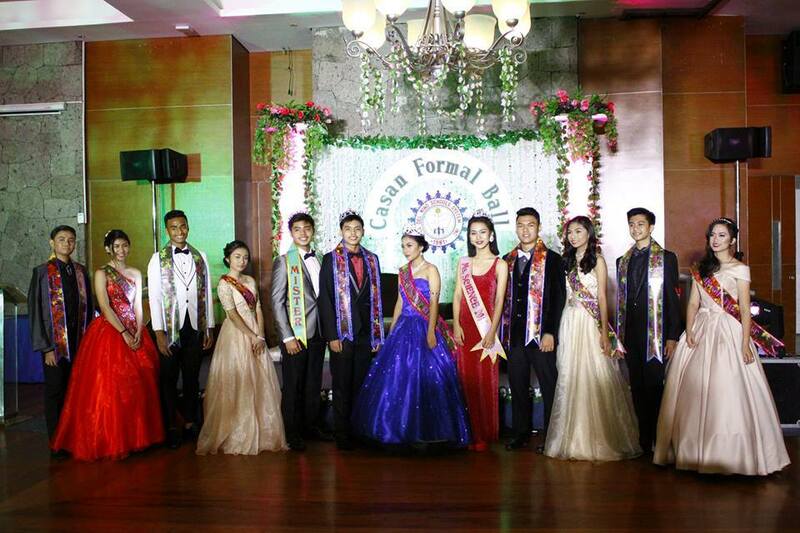 This year’s Casan Formal Ball was the first time it was held outside a hotel and though the experience was tedious for the organizers, it was well worth it as the venue was grand and the attending students enjoyed the evening so much . 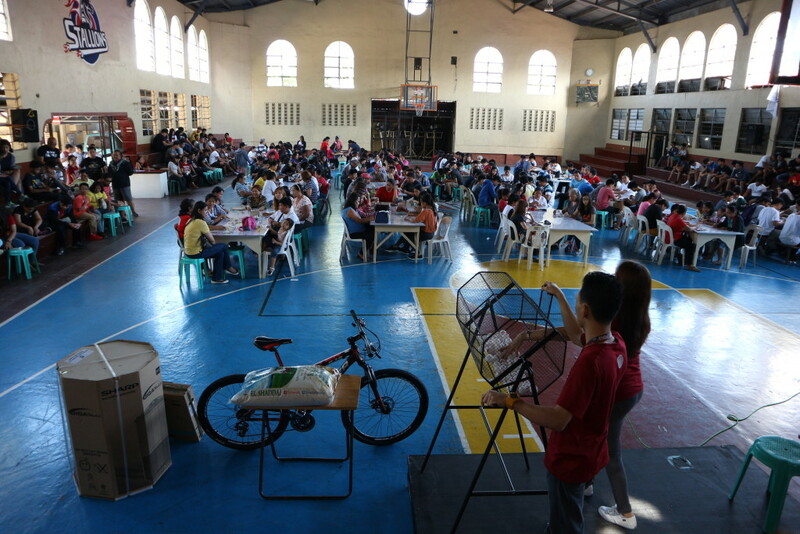 Students and parents alike enjoy several games of Bingo during the socials organized by the CDN Sports Development Office last Saturday, 11 February 2017. The Sports Development Office of the High School Department recently held a well-attended Bingo Socials at the CDN Gym last Saturday February 11, 2017 where parents and students alike enjoyed the games during a sunny but mild day. The Grand Prize, a 32” TV Set was won by senior student Cedrick Tallada although the most coveted prize was a Bike won by a female student from Grade 9, Andrea Malabanan. The bicycle drew a lot of participants from the male student population as biking is one of the most popular sports activities for young men these days. 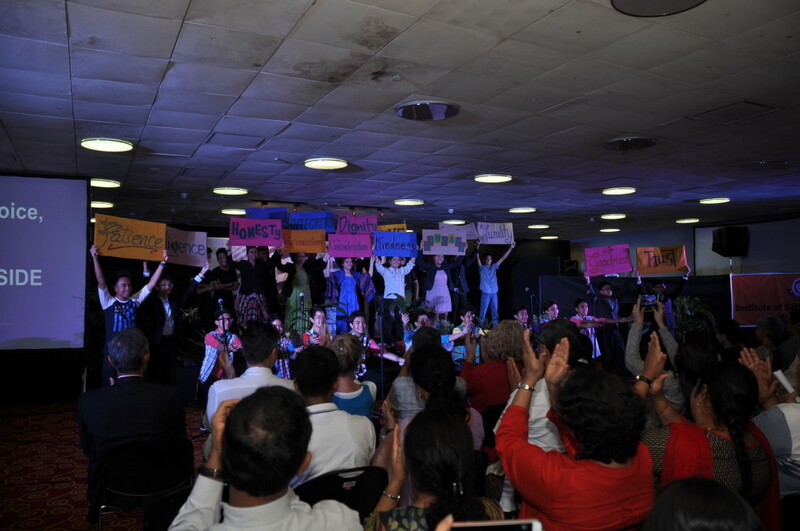 Prizes ranging from gift certificates to a sack of rice drew a sell-out crowd that gamely played the cards prepared by the SDO to fund several projects including a covered path for the use of students most specially during the rainy season. The Sports Development Office is led by its leader Mr. Dennis Cabanban. 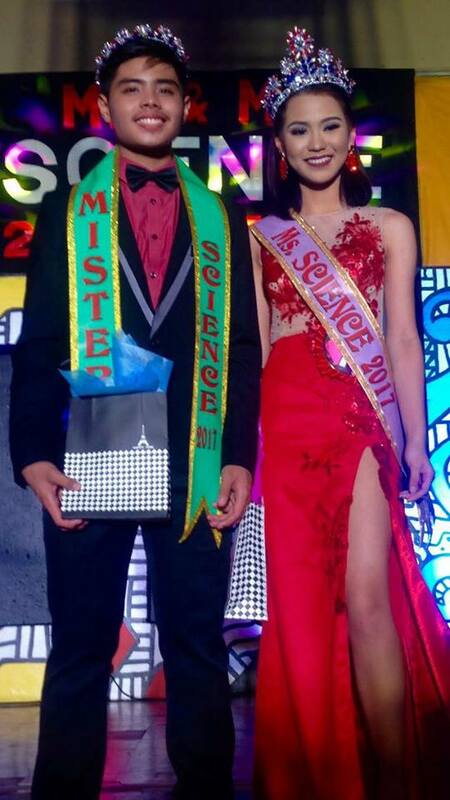 Jeric Sorita was adjudged Mr. Science 2017 along with Zia Villarente as Ms. Science 2017 in the pageant finals last Saturday, 28 January 2017 as the Foundation Celebrations of CDNSSI culminated in colorful ceremonies that featured Solid Mensuration as the theme. Aside from the title, Jeric Sorita was overwhelmingly victorious as he won 9 out of 15 special awards that were decided by different sets of judges including Best in Talent Show, Best in Uniform, Best in Casual Wear, Best in Formal Wear, Mr Photogenic, Best in 3D Fashion, Mr. Personality, Teacher’s Choice and Audience Choice. Zia Villarente also won Best in Uniform and Best in Formal wear aside from the coveted title Miss Science 2017. Runners up were Bryan Henson and Francesca Brazil (1st RU), Oliver Garcia and Tanya Granados (2nd RU), DJ Almadrones and Alyson Edora (3rd RU) and Lance Parreno and Jean Minosa (4th RU). Miss Kristine Yatco won the Best Designer award for the costume of Aaron Mitra who wore a well crafted 3Dimensional leisure wear. Judges comprised of alumni, some of whom won the titles during their time and are now professionals: Zoilo Go Jr., Lye Ocampo, Harvey Aguilar, Kristina Gillera, Francis Deo and Irish Bronoso. Last year’s winners, Kevin Belviz and Ella Tornea relinquished their crowns during the conclusion of the pageant last Saturday. Mr. & Ms. Science is the most prestigious pageant of CDNSSI and is awaited not only by Casans but also by the community as well. Jeric Sorita and Zia Villarente pose after being crowned Mr. & Ms. Science of 2017. From Left to Right, Jeric Sorita , Mr. Science 2017, Kevin Belviz, Mr. Science 2016, Zia Villarente,Ms. Science 2017 and Ella Tornea, Ms. Science 2016. 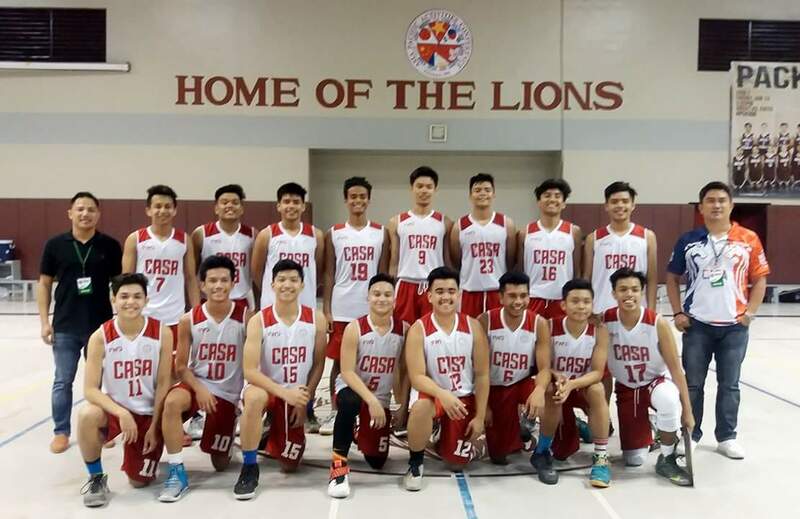 The Varsity Basketball Team of Casa del Niño known as the Red Stallions recently were declared Champions of the Upper School Boys Division III of the League of Southern Manila Schools at the Brent International School last January 21, 2017. Coming in 2nd Place was Elizabeth Seton School of Parañaque City while San Beda Alabang came in 3rd Place. Also receiving other honors were Joben Tamonte and Marc James Baja who were jointly declared as Most Valuable Players and included in the Mythical Five during the Closing Ceremonies right after winning the Stallions’ last game at the Brent International School Gymnasium. The CDN Red Stallions are trained by Coaches Aaron Mendoza and Dennis Cabanban of CDN Sports Development Office. This recent win proves that the Sports System of CDN is indeed effective and successful. The Red Stallions pose with their coaches Aaron Mendoza (Leftmost) and Dennis Cabanban (Rightmost) at the Brent Int’l School Gymnasium after one of their preliminary games. 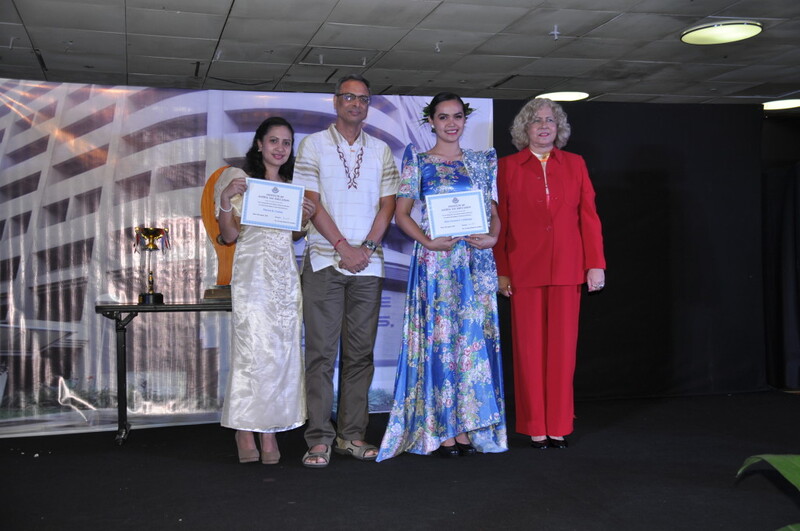 Miss Mace Cauilan (leftmost) and Miss Rola Cabalonga (2nd from right) receive their diplomas from the Indian Ambassador and Venezuelan Ambassadress during the event. The eudience applauds after the CDN artists render their last group song at the end of the play “The End of Education is Character”. On December 10, 2016, Casa del Nino artists were tapped to perform during Institute of Sathya Sai Education’s Anniversary commemoration at the SGV Hall of the Asian Institute of Management Conference Center in Legaspi Village, Makati City. The event was also a belated celebration of the Chancellor’s Day as Sathya Sai Baba was born in November. Aside from Casa del Nino Science High School Laguna students, Casans from CDN Ilagan, Isabela also performed in their colorful costumes as they did a Venezuelan dance to the delight of the Venezuelan Ambassadress Madam Capaya Rodriguez Gonzales who also presented Diplomas to Tr. Mace Cauilan and Tr. Rola Cabalonga who completed a diploma course on Education in Human Values at the Institute of Sathya Sai Education Thailand earlier this year. Students from the Sathya Sai School Pillilia came in full force with their Pineapple dance. The CDN Science High School students trained by Ms. Yoly Jakosalem starred in a play entitled The End of Education is Character written by Dr. Lakshmi Seetharam . CDN Malebox also sang two original songs composed by their mentor Mr. Chito Maramag who was inspired by Dr. Lakshmi’s play. Overall, it was a tiring but fulfilling event that ended with a message from Dr. Rosario Acierto, CDNSSI President and a pillar of ISSE Laguna. The participation of CDNSSI was managed by Ms. Michelle Asiddao of ISSE Laguna. 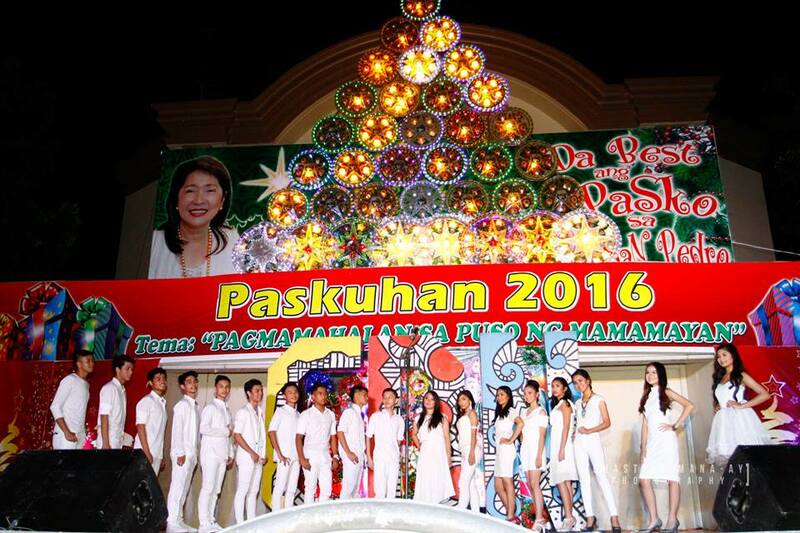 The 18 candidates of Mr. & Ms. Science 2017 pose at the San Pedro Town Plaza stage during the Gabi ng Casa del Nino sa Paskuhan ng San Pedrro. The 18 candidates of Mr. & Ms. Science 2017 were launched during the Paskuhan ng San Pedro last Wednesday, 14 December 2017 at the San Pedro Town Plaza. 10 boys and 8 girls paraded in front of the crowd as they introduced themselves to a huge crowd who came to watch the performances prepared for Gabi ng Casa del Nino as the school’s contribution to the Christmas project of the City of San Pedro, a yearly event that has been going on for many years now. The Mr. & Ms. Science Pageant will have its coronation night on the 28th of January 2017 as the culminating activity of CDNSSI’s 36th Foundation Celebration. Ang mga nagtanghal na magaaral ng CDNSSI ay sama-samang umawit ng kanilang panghuling bilang sa Paskuhan ng San Pedro nung ika-14 ng Disyembre sa Gabi ng CDNSSI. 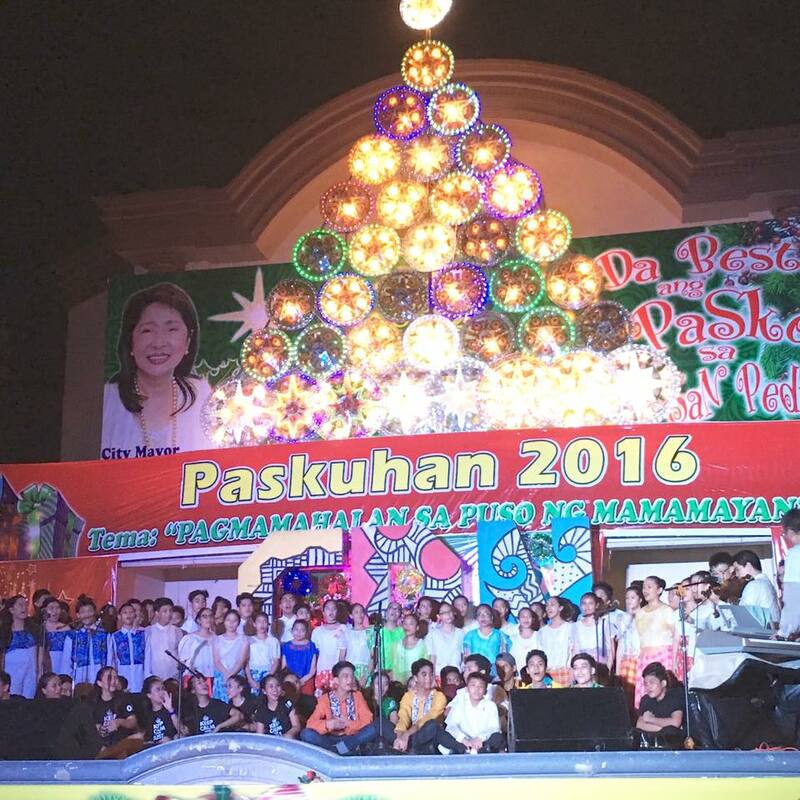 Nung ika 14 ng Disyembre 2016 mula 8 hanggang 930 NG, matagumpay na idinaos ang Gabi ng Casa del Niño sa Paskuhan ng San Pedro sa Liwasang San Pedro, sa pagitan ng lumang Munisipyo ng Bayan at Simbahan ng Parokya ng San Pedro. Napanood ang ibat ibang grupo ng CDN tulad ng CADENCE sa pangunguna ni G. Kennedy Tabon, Music Club ni G. Eric Medenilla, Danzartes ni Gng. Bheverly Rolda, Malebox ni G. Chito Maramag at mga kasaling magaaral sa Mr. & Ms. Science 2017. Sumama din sa palatuntunan ang mga magaaral mula sa Casa del Niño Santa Rosa Campus. Ang Paskuhan ng San Pedro ay taon taong ginaganap sa pangunguna ni Mayora Baby Cataquiz at sa bawat gabi ng Disyembre ay may ibat ibang eskwelahang nagtatanghal. 150 magaaral ng Casa del Niño ang nagtanghal nung gabing yaon na sinamahan din ng mga gurong umalalay sa mga mangaawit at mananayaw. Malaking pasasalamat ng lahat ang hindi pagulan nung oras ng pagtatanghal dahil masama ang panahon nung linggong iyon. Sa mga natanggap na magagandang obserbasyong ibinahagi ng mga nanood, maganda ang kabuuan ng pagtatanghal at lubos na pinasasalamatan ang mga magaaral at mga magulang sa kanilang suporta sa palatuntunan.